Integrating the module and the inverter is a natural evolution. In the PC industry, silicon semiconductor components have been continuously integrated to reduce manufacturing cost, reduce complexity, and simplify the customer experience. Tell us a little bit about JinkoSolar. 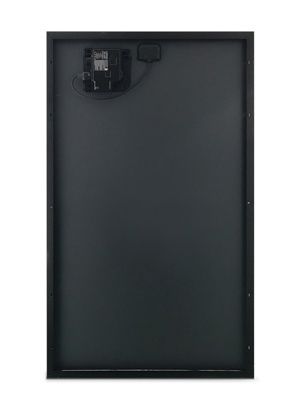 JinkoSolar is the largest vertically integrated solar module manufacturer in the world. The company has been publicly traded on the NYSE since 2010, sells in 88 countries, and since 2016 is the owner of the best-selling brand of modules globally. The company has deployed approximately 24 GW globally, including about 5 GW in the US, where it is most chosen in utility-scale installation and fastest growing in residential. You recently partnered with Enphase to integrate a Jinko solar module with an inverter from Enphase. Why work with Enphase on an AC module? Integrating the module and the inverter is a natural evolution. In the PC industry, silicon semiconductor components have been continuously integrated to reduce manufacturing cost, reduce complexity, and simplify the customer experience. A semiconductor-based microinverter paired with a semiconductor-based solar module represents the same trend, with many of the same benefits. JinkoSolar and Enphase share an extraordinary commitment to quality, which made the partnership an obvious choice. How is an AC module relevant to the market? The integration of module and inverter impacts every part of the solar value chain. A single device ships to the distribution channel; installers don’t have to deal with module/inverter matching, and enjoy improved capital management; installers also carry just one device onto roofs, and have many fewer connections to make per roof; both installers and homeowners benefit from significantly faster installations; consumers can be certain that their solar systems come with state-of-the-art monitoring and energy management; consumers can rest easy knowing that friends and family in the home have a safe low-voltage solution; and utilities can be sure that new solar systems comply with the latest regulations, like Rule 21 in California. Talk a little bit more about the benefits of AC modules for solar installers. It’s not just about the operational efficiency that comes with fewer SKUs and improved cash management. Using an AC module reduces one of the leading drivers of residential solar installation costs: labor. The installers save up to 12 work steps during the installation process with integrated AC modules, including fewer carries onto the roof and no electrical labor on the roof. AC modules also mean a lower carbon-footprint for solar, with significantly less cardboard and packaging waste at the installation site. Even if everything else remains comparable, this list of advantages is too long for the industry to ignore. How does the AC module benefit homeowners and how will they know when an installer uses AC modules on their house? Homeowners may not know the particulars of the AC modules installed on their houses, but they will certainly experience the benefits. For starters, the installation of their solar system will take significantly less time. Modern life is pretty hectic, so getting the job finished early is very welcome. Homeowners that choose the Eagle AC from JinkoSolar will also experience the benefits of the advanced energy management features provided by the integrated Enphase IQ6 microinverter; once the system is installed and activated, homeowners can see exactly how much energy is being produced. Tell us a little bit more about adding energy storage to Enphase-based systems, including AC modules that feature the IQ6 microinverter. 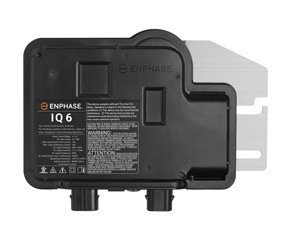 Adding storage to Enphase-based solar systems is plug-and-play simple, since the system is managed by the Enphase Envoy: the heart of the Enphase Energy Management System with IQ. Qualified solar installers can assess a customer’s needs with the Enphase Storage Sizing Tool, and add Enphase AC Battery units in as little as 30 minutes per unit. The AC Battery is the first residential energy storage system to receive the UL 9540 system certification -- a safety standard requirement issued by UL, the global safety science organization. Take a look down the road 5 or 10 years, what do you think a residential solar / energy storage system looks like and how has JinkoSolar involved in this evolution? Adding storage to residential solar systems is no longer something we talk about as being down the road; it’s here today. JinkoSolar AC modules paired with storage products like the Enphase AC Battery are a practical solution. JinkoSolar’s contribution to the evolution of solar + storage is also evident in its involvement in the Flex House, a 700 sq. ft net-zero smart home exhibited at CES this year. Powered with 8 Jinko modules and battery backup, the Flex House remained fully powered during an hour long black-out at the Las Vegas Convention Center, solidifying that solar + storage truly is a key component to the connected home.